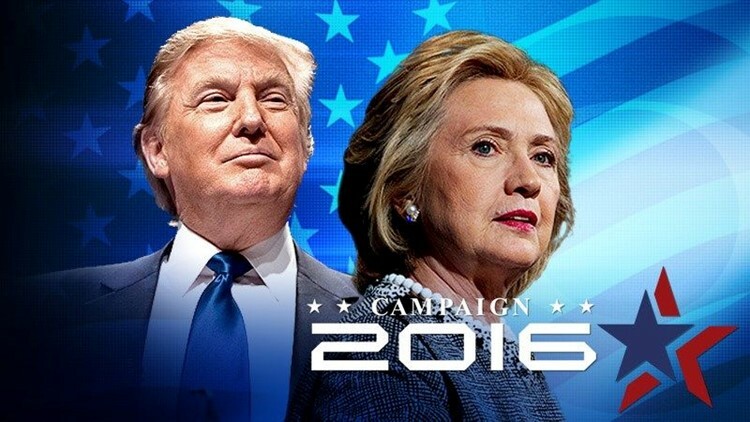 LOS ANGELES (AP) - The Democratic presidential race between Hillary Clinton and Bernie Sanders is tightening in California, while Donald Trump has a comfortable double-digit edge over his Republican rivals, a poll found Wednesday. The Public Policy Institute of California survey found Hillary Clinton notched 48 percent among likely voters - Democrats and independents who can vote in the party's primary election. Vermont Sen. Bernie Sanders was pegged at 41 percent. Sanders has climbed in popularity in California since registering in single digits in independent polling early last year. California's primary election is June 7. The survey, conducted March 6-15, included interviews with about 1,000 likely voters. For the overall group, the margin of error was plus or minus 4.4 percentage points, though it was higher when the two primaries, Democratic and Republican, were considered separately. In the Democratic race, most voters 45 and older supported Clinton, while younger voters tilted to Sanders. Clinton leads among Hispanic voters, women and political moderates, while Sanders had the edge among men and voters who describe themselves as very liberal. Among Republicans - their presidential primary is open only to registered GOP voters - Trump had 38 percent, trailed by Ted Cruz and John Kasich. Trump held the edge across age, education, gender, and income groups, the survey found. The survey included Marco Rubio, who suspended his campaign on March 15, the day the survey concluded. With Rubio in the mix, Trump was followed by Cruz at 19 percent, with Kasich and Rubio at 12 percent each. The survey also asked likely Republican voters for their second choices, and when the responses were recalculated to exclude Rubio, Trump maintained his 38 percent support, while Cruz's support increased to 27 percent. Kasich was at 14 percent. The poll found many voters remain unfamiliar with the race to replace retiring Sen. Barbara Boxer, D-California. The largest group of voters remains undecided - about one in three. Among Democrats, Attorney General Kamala Harris snagged 26 percent support, with congresswoman Loretta Sanchez at 17 percent. The Republicans, Tom Del Beccaro and Duf Sundheim, were in single digits. Republican Ron Unz entered the race after the survey was completed. Democrats are favored to hold the Senate seat in a state where the party controls every statewide office and both chambers of the Legislature.